FOR THE ULTIMATE ASPHALT REPAIR! Equipped with a Kasi KP48 - 48 sq. 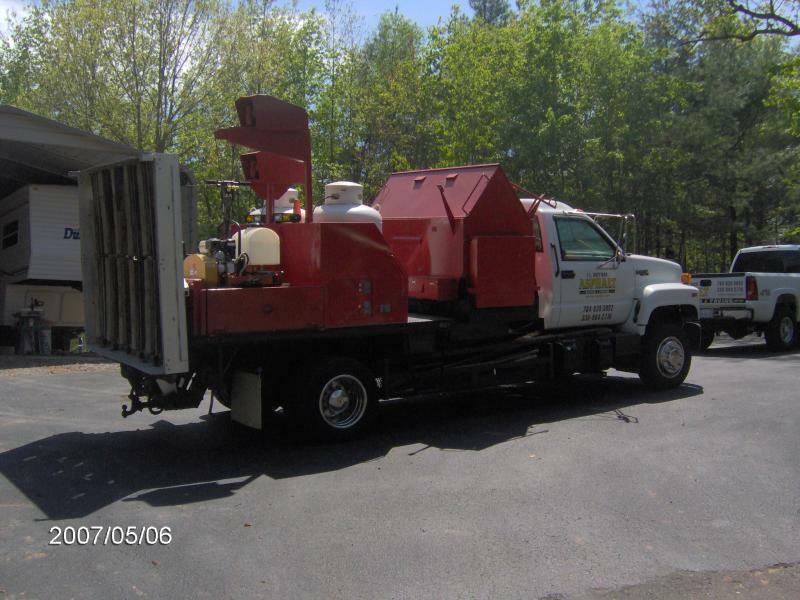 ft. infrared pavement heater, 2 ton capacity asphalt reclaimer, dumping waste bin, and equipment necessary for asphalt repair. Asphalt Repair has met the future! Asphalt Repair used to take 2 - 3 hours to complete, including removal of asphalt, employee labor and equipment. Now, with just 2 people and 20 minutes, we can perform a permanent restoration of the asphalt. The Kasi Infrared System permanently bonds new and existing asphalt for a seamless repair. Contact us for more information!